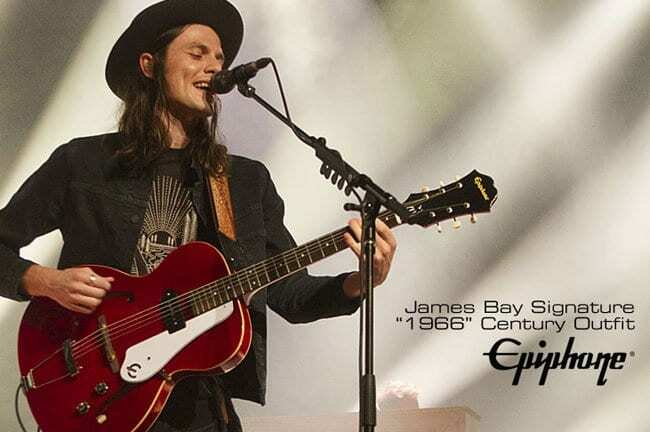 Epiphone’s new James Bay ‘1966’ Century signature guitar is an official version of the guitarist’s recognisable red companion. 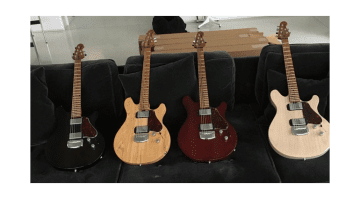 It’s the latest in a whole slew of recent Epiphone signature models that have included instruments associated with Lee Malia, Johnny A, and Jack Cassidy. This new signature model features a Kinman Noiseless ‘Sweet Neck’ P-90 pickup, the same model James uses in his own guitar. 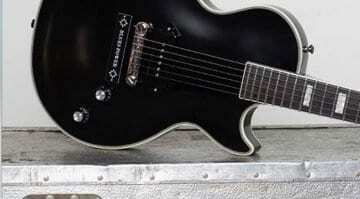 It should help tame the hum of a traditional P-90 single coil, which is notorious for being noisy when played live. The Cherry Red finish makes this guitar stand out at a thousand paces. From the marketing shots available, this one looks deep and lustrous. The hardware is pretty traditional: a ’60s style rosewood bridge with brass thumb wheels for adjustment, a set of Wilkinson machine heads and USA electronics. On the rear of the headstock, there is also a ‘The Dark Of The Morning’ logo from his first album, to make sure everyone else knows you’re playing a signature guitar. I like the whole look of this instrument. 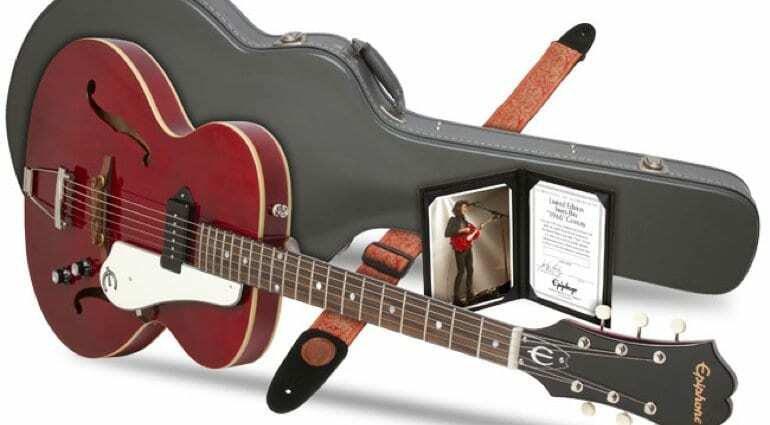 On paper, at least, Epiphone has successfully recreated a widely recognisable instrument. If the price is right, I can see this selling well. 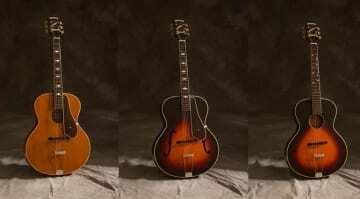 It has the cool vintage ’60s vibe you would want from a single pickup archtop design. The guitar ships in a 1960s-style hard case and comes with a hand-signed Certificate of Authenticity. You also get a recreation of Bay’s own custom guitar strap as well. Alas, you don’t get a hat, so you’ll have to go and buy one separately. 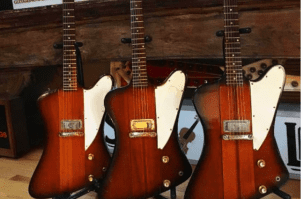 Epiphone Bonamassa Firebird-1 signature guitar: Hot stuff?